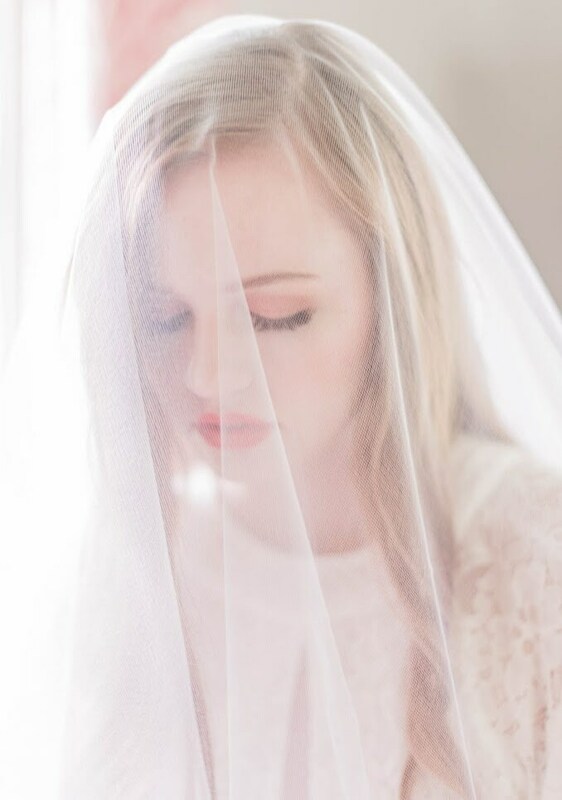 This stunning raw edge drop veil features a 60" width and 30" blusher in the front, with your choice of length in the back. Just received my veil in the mail, and it is beautiful! Fast shipping and careful packaging too. The biggest thanks to Cassandra who was a joy to work with. She went above and beyond to answer all my questions and make recommendations that led me to "the one". :) All the best to you, and thank you for everything! Love it!!! Fast shipping!! Can't wait to wear for my wedding day. Looks beautiful and high-quality! Exactly as described, and just want I needed. 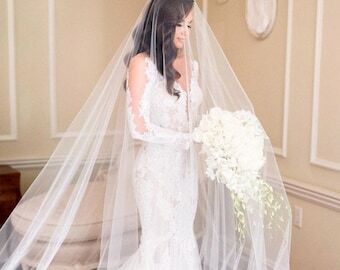 Can't wait to wear this on my wedding day! It looks amazing. I can't wait to use it on my wedding day.The card that comes with it makes it even more personal.